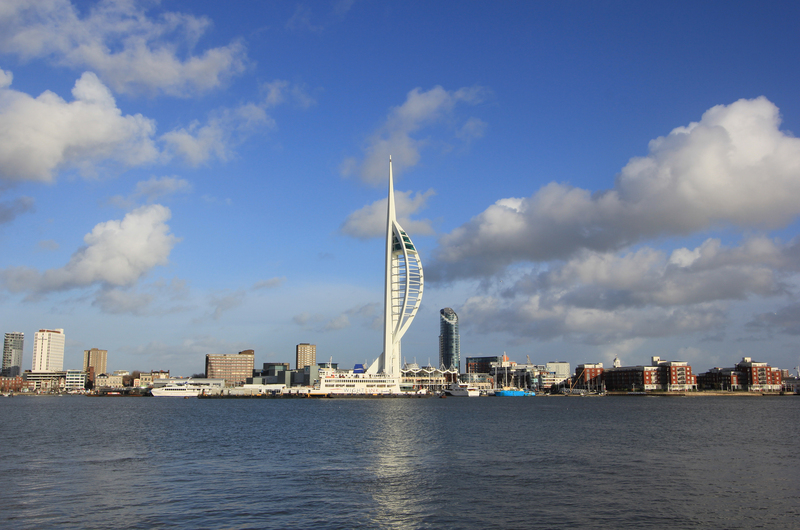 The Gosport Ferry does not take long to cross the harbour, but is well worth the trouble, and really it is not much trouble at all. It is cheap, offers a regular service, has an open-air upper deck, and skips across the harbour entrance from one side to the other at speed. The views are wide ranging and varied. To the south is the harbour entrance. Look! There’s the Round Tower, guarding it. 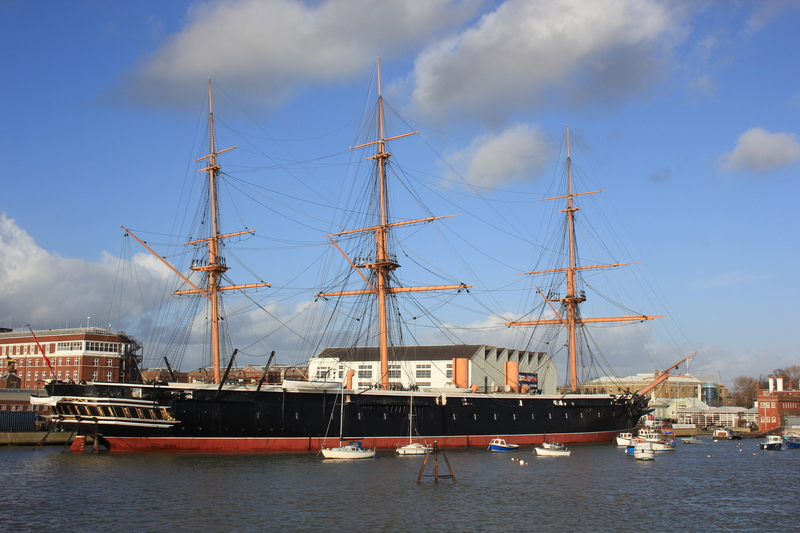 To the north is Portsmouth’s Historic Dockyard. As the ferry pulled away from Portsmouth we had some great views over to HMS Warrior, the pride of Queen Victoria’s fleet and the fastest and most powerful ship of her day. 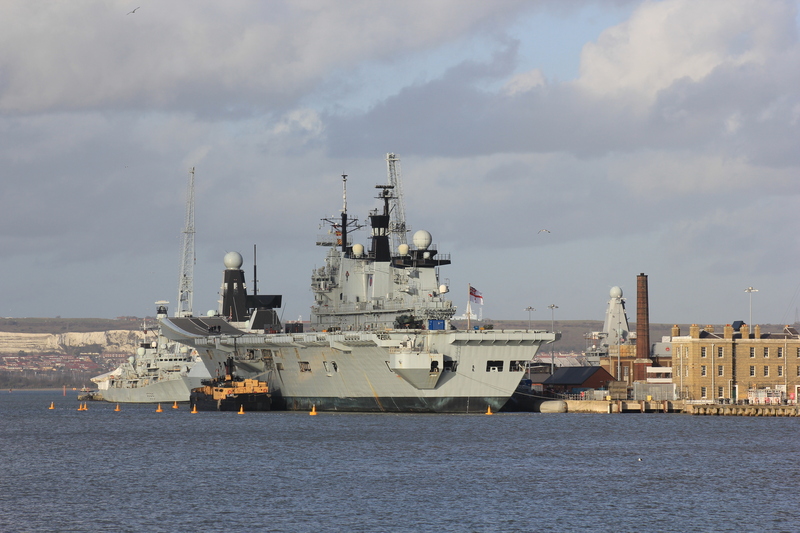 We also had good views to HMS Illustrious. What a pity there were no jets taking off! 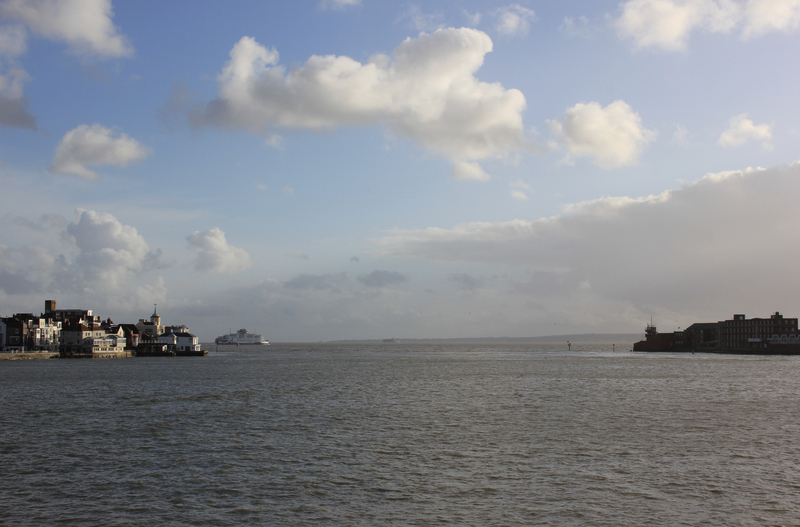 The ferry pulled in to Gosport and everyone off-loaded. This was the end of our walk today, but we had one more thing to do. Because we have to “touch in” at the start of each walk wherever we “touched out” at the end of the last, we had to make it to dry land. We shot off the ferry, nodding to the conductor who stood by the exit. We hurried through the exit corridor, and into the outside plaza. We then did a hasty about turn, shot back into the terminal, hurried down the entrance corridor, and back onto the ferry. By this time, the conductor had moved from the ferry exit to the ferry entrance. After having nodded to him 30 seconds before as we disembarked, we nodded to him as we re-boarded. He started at us as if we were bonkers, and closed the doors behind us. 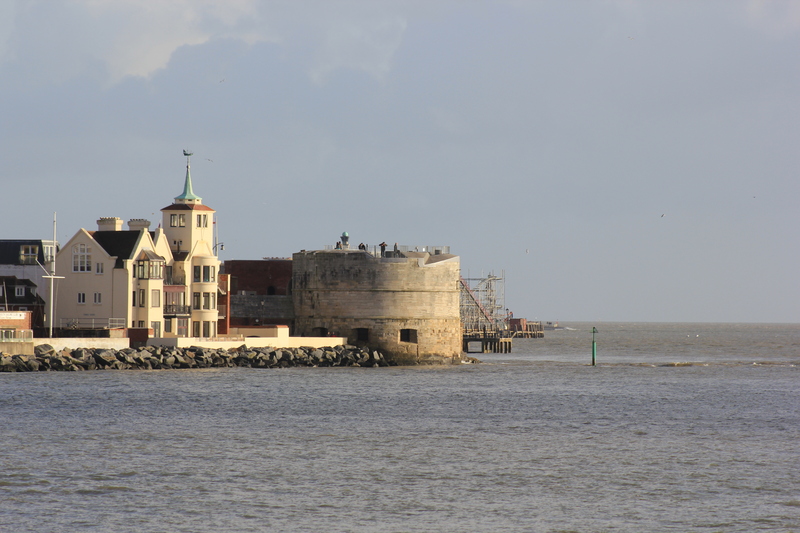 This entry was posted in Hampshire, Islands and tagged coast, ferry, Gosport, Hampshire, HMS Illustrious, HMS Warrior, Portsmouth, Portsmouth Historic Dockyard, Spinnaker Tower, travel, walking. Bookmark the permalink. You always make your jaunts look like so much fun! Are you ALL always smiling? I’m NEVER smiling – that’s why I take all the pictures! You are clearly in our camp, Jill! 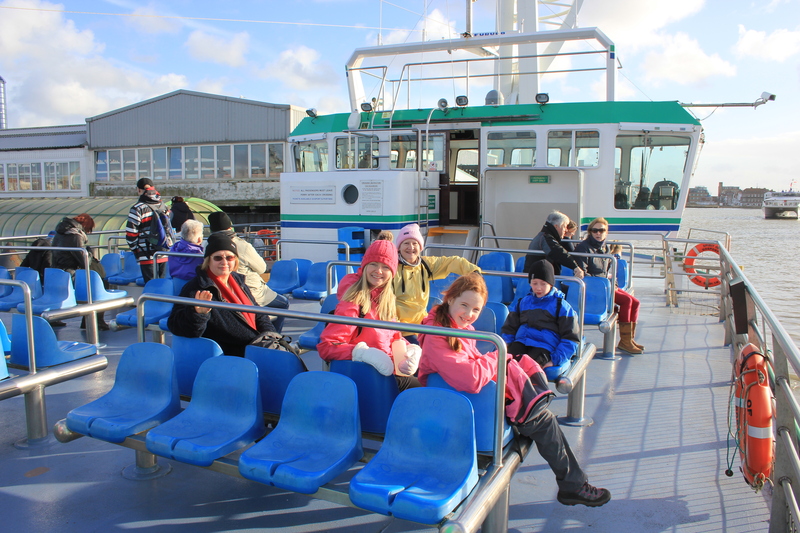 Is the Isle of Wight on your route? I used to get this ferry a lot as a child and I always loved the fact that you only paid on one side, and the other way round was free. Ah! I noticed you could only buy tickets on one side and was wondering what that was all about!